Tiffany Designs prom dresses are great for a girl who wants to look classic but stand out in a bold print, floral design, polka dots, or bright colors. Tiffany is known for their timeless pieces and stunning designs. Look and feel spectacular on your special night with a Tiffany prom or pageant dress. Charm your date or wow the judges with one of these great designs. Find a-line gowns, ball gowns, mermaid styles, and fit and flare dresses in this collection. Tiffany Designs dresses has been in the formal wear business for years and knows exactly what styles girls love year after year. 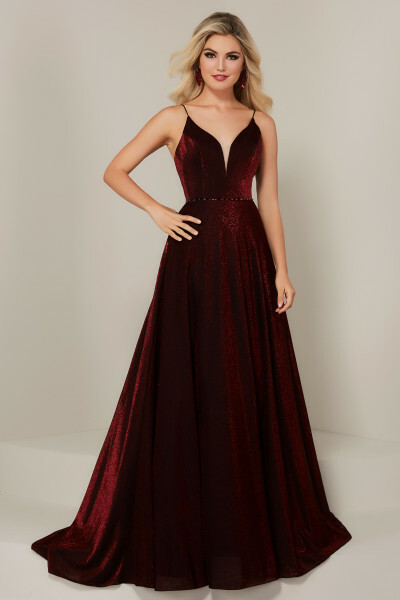 Classic silhouettes combined with trendy flares and fashionable accents make these gowns a great choice for prom, pageant, and many other social occasions such as cotillion, debutante balls, sorority functions, and formal galas. This designer offers a superb fit with their gowns and all gowns are crafted with high quality materials to ensure the best possible fit and durability. Choose from a two piece mermaid style, a long strapless a-line chiffon, or a full tulle ball gown, perfect for a quinceanera. Don't miss out on some of the hottest formal wear of the season. Start your search for the perfect gown with this assortment and find what many Castle customers have already discovered... these styles are simply spectacular! 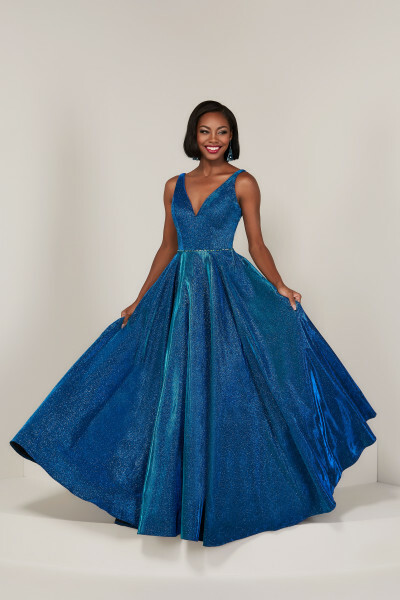 Whether you are hoping to find a bold print that suits your vibrant personality or a sleek gown that fits your classic style, Tiffany Designs pageant dresses have a winning dress for you. 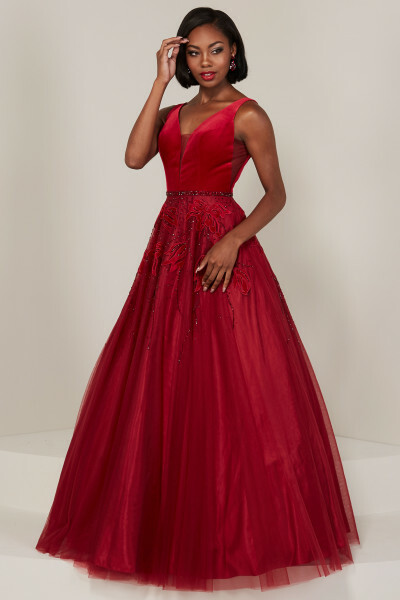 Many of their gowns also come in a variety of wonderful color options such as bright blue, bold fuchsia, lime green, and vibrant yellow prom dresses. Or stand out and make a statement with an stunning open back Tiffany prom dress. There is something for every girl in the Tiffany prom collection. Offering a wide range of sizes, Tiffany strives to provide styles for customers of all shapes, sizes, and styles. We think you will find several designs that suit your formalwear needs in this fabulous collection of dresses. Don't hesitate because these gowns sell fast. Come visit one of our store locations to try these styles on for yourself. Although there are many other lines created by this designer such as Studio 17, Panoply, and Damas, we think Tiffany may have just what you are looking for. Browse the styles below to get a look at what this collection has to offer!